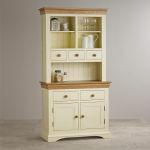 The Country Cottage Natural Oak and Painted Small Dresser offers essential storage and display space within a distinctive, eye-catching design. 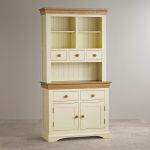 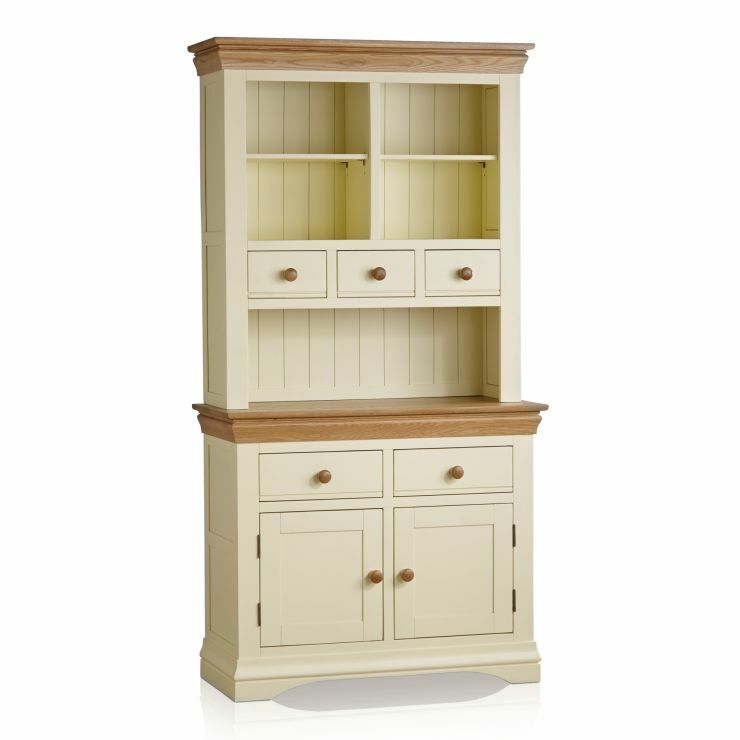 Inspired by classic French furniture with a contemporary cream painted twist, the dresser features elegantly flared cornices, oak button handles and a delicately arched base. 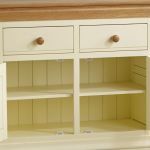 For an attractive contrast, the solid oak tops are left natural with only a simple coating of clear wax polish applied to protect and enhance the grain. 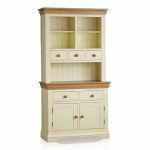 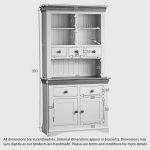 Placed in the kitchen, dining room or living room, the dresser promises to maximise your storage space with four roomy drawers, a double cupboard and ample shelving. 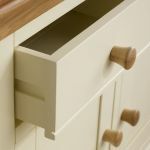 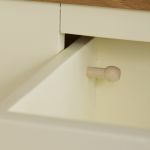 Plus you can be rest assured on the build quality; only one hundred percent solid hardwood is used throughout and each drawer is made using traditional dovetail joints.